What Rosa Parks Ate: Peanut Butter Pancakes. Learn to make Rosa Parks’ Featherlite Peanut Butter Pancakes with this vintage recipe and step-by-step photos. February is Black History Month, a time to celebrate the past and present achievements of African Americans. Today, I want to celebrate the memory of a woman who courageously helped to change our nation and make it a better, more equal place– Rosa Parks. On December 1, 1955 in Montgomery, Alabama, Rosa Parks refused to give up her seat to a white man on a segregated bus. Her refusal was the spark that lit a firestorm of change. It resulted in the Montgomery bus boycott, a controversial protest which lasted a year and ended when segregation on buses was deemed unconstitutional. 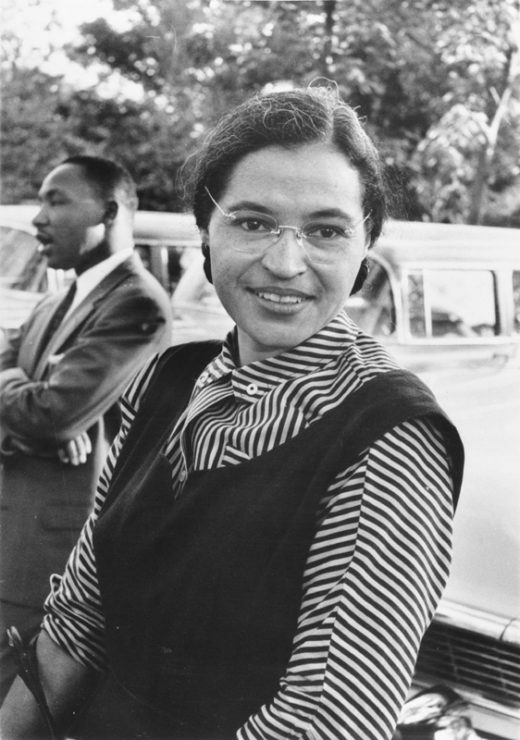 The civil rights movement rapidly became a subject of national attention, and Rosa became a central figure in the struggle for equality in America. Many people don’t realize that Rosa was not the first one to take a stand by keeping her seat. Before Rosa, there was 15 year-old Claudette Colvin. In Montgomery, Alabama on March 2, 1955, Claudette refused to give up her seat for a white woman. She was inspired by her high school studies at the time; she’d been learning about Harriet Tubman, Sojourner Truth, and other important black leaders who had made strides for equality. When faced with the choice of giving up her seat, Claudette’s conscience simply wouldn’t let her do it. She was arrested for her peaceful act of protest. The NAACP took note of Claudette’s act. Black civic leaders had been looking for a way to protest the Montgomery bus situation for years, and they were impressed by Claudette’s act of rebellion. However, they felt that Claudette might be too young and unreliable to be the face of this protest. As Secretary of the NAACP and a respected figure, Rosa Parks was chosen to be the figurehead of the Montgomery Bus Boycott. Her act was directly inspired by Claudette’s act, which happened nine months prior. Just thought I’d share that interesting, little-known tidbit of history! The Rosa Parks Archive consists of thousands of items of virtually every description. Her countless awards range from the most significant to the most charming, the latter presented to Mrs. Parks by many of our nation’s school children. One section of her library contains volumes inscribed to her by such noteworthy figures as Dr. Martin Luther King and President Clinton while another section contains somewhat worn text books with Rosa Parks’ own name written in pencil from her childhood days at the Industrial School for Girls in Montgomery. The archive reflects Mrs. Park’s day-to-day life with personal items ranging from her wardrobe, her eyeglasses, her driver’s license, her address book, and her Bible. The archive contains a well-traveled suitcase filled with assorted fabrics from Rosa’s days in Montgomery as a seamstress. Among her personal papers a recipe was found, scribbled on the back of an envelope, for “Featherlite Pancakes.” While we can’t be 100% sure that Rosa used this recipe, it seems quite probable that she did, given that it was found within her personal items and written in her own handwriting. The recipe is fairly self explanatory as written; I have provided a few detailed cooking instructions for clarity below. I made the assumption that smooth peanut butter should be used, because of the fact that Rosa called these pancakes “featherlite”– I’m guessing a pancake that is “light as a feather” isn’t supposed to crunch. I used smooth peanut butter, and the pancakes turned out very light indeed. They are truly delightful, with a wonderful texture and a mouth-watering peanut butter flavor. In fact, my stepdaughter has decided that this is now her favorite pancake recipe– and she’s a picky eater! They’re really tasty. One quick reminder– if serving guests that you don’t know very well, make sure you let them know in advance that these pancakes contain peanut butter. Some people have peanut allergies (which can be lethal), so hidden peanut butter can be dangerous. Cook with care! February 4 is Rosa Parks’ birthday. Cook these pancakes as a way to honor Rosa’s memory… and Claudette’s! May their courage be an inspiration to us all. Sift together dry ingredients: flour, baking powder, salt, and sugar. 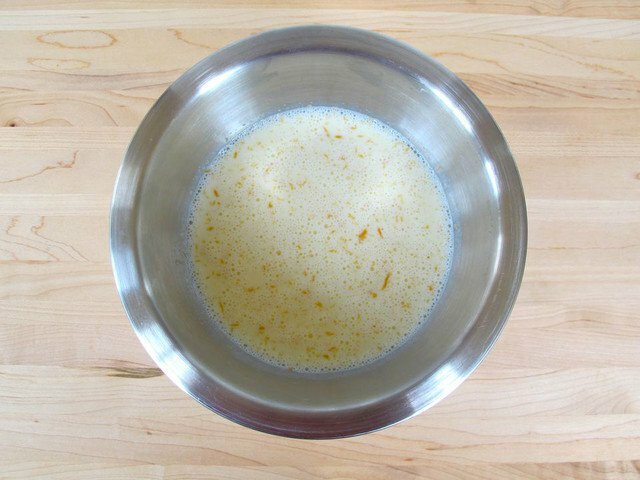 Mix together wet ingredients (minus the oil) with a fork till smooth: egg, milk, peanut butter. 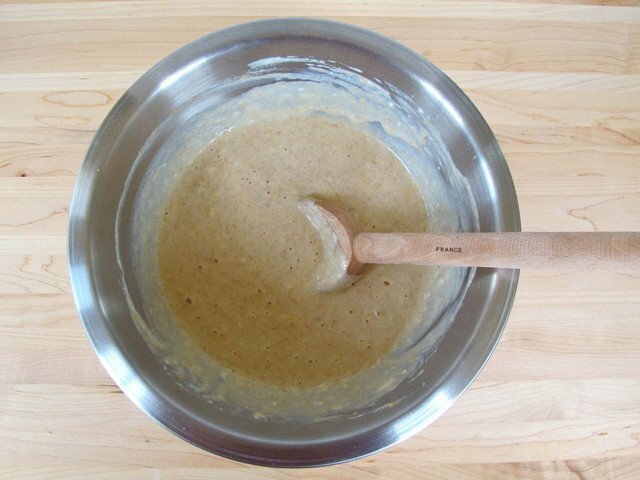 Add dry ingredients to wet, mixing lightly-- do not overmix, or pancakes will turn out heavy and dense. A few lumps are okay. 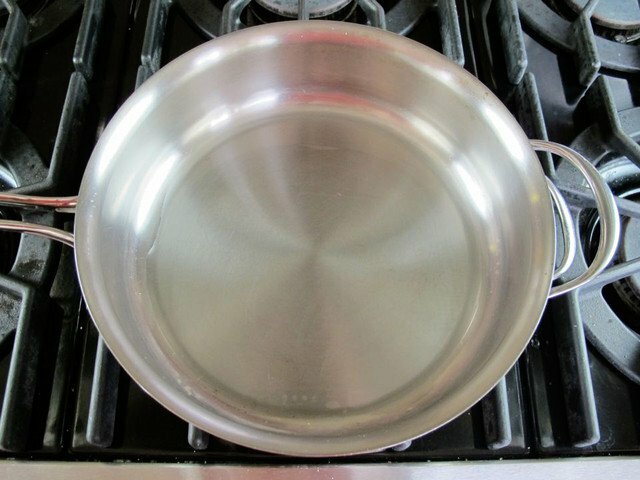 Grease your skillet or griddle with oil or shortening (I use peanut oil). Heat skillet over medium (or heat electric griddle to 275 degrees F). Test heat by flinging a droplet of water onto the surface of the skillet-- it should sizzle and evaporate, but not pop or crackle. 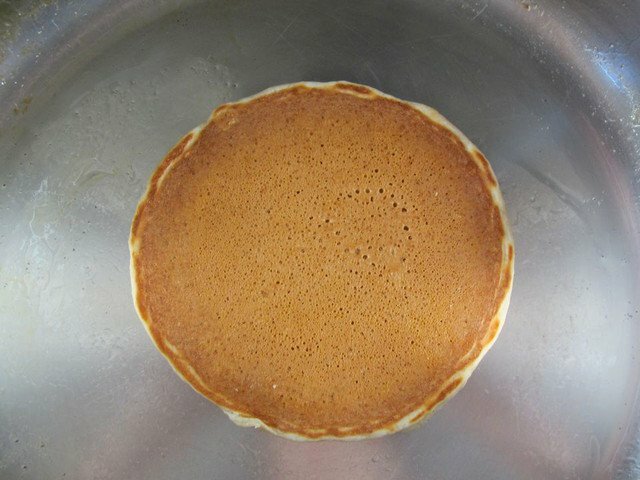 Pour the batter by scant 1/4 cupfuls to form pancakes on the hot skillet. 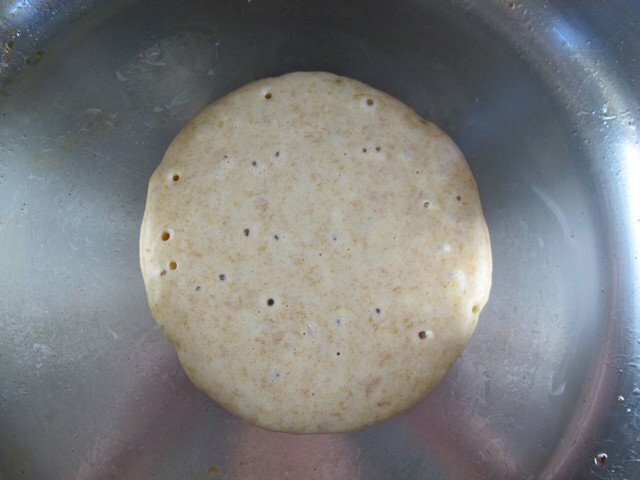 Let the pancakes cook for 1-2 minutes till bubbles rise to the surface of the batter and burst. When the pancakes turn golden brown on the bottom, flip them. Let the pancakes continue to cook for 1-2 minutes longer till golden brown on both sides and cooked all the way through. Re-grease the skillet periodically between batches, if needed. Serve pancakes immediately. 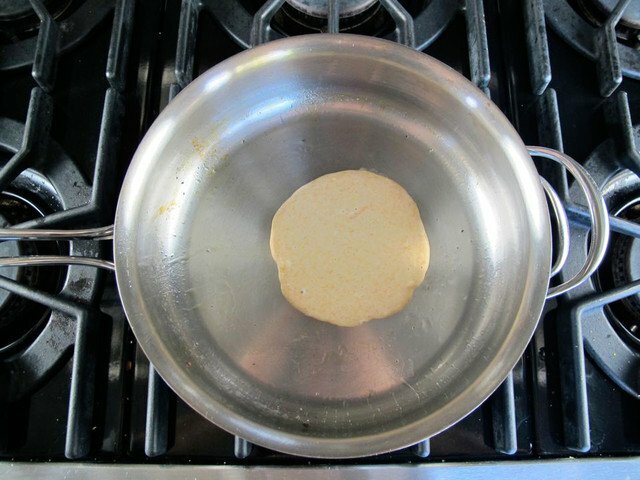 To keep the pancakes warm while you're cooking, place them on a plate covered by a towel in a 175 degree oven. Use an oven mitt when removing the plate from the oven, it will be hot! Serve warm with butter and maple syrup. Delish! Parks, Rosa (1999). Rosa Parks, My Story. Puffin Books, Reprint Edition, New York, NY. Before Rosa Parks, A Teenager Defied Segregation on an Alabama Bus. Sarah Kate Kramer, NPR Radio Diaries, March 2 2015. Great recipe!! Thank you so much. I added peanut butter and nutella to equal the 1/3 cup then I mixed it with powder sugar. I added egg yolks and whipped egg white separate. I folded the egg white in at the end and they came out super fluffy. I also added chocolate chips and salted caramel swirl while cooking! A lot, I know, but this was a great foundation for inspiration. These are great if you don’t want something too sweet. Overall pretty great. Make sure you don’t make them too dense, like she noted! I made these today and they were delicious!! I had to improvise a bit after realizing we were out of peanut butter so I used powdered peanut butter (reconstituted with water) and added 1-2tsp of oil to the batter. *BONUS A low-fat alternative!! The texture was wonderful and the flavor was almost too peanut-buttery (next time I’ll use 1 Tbs less peanut butter powder). Thank you for the great recipe! 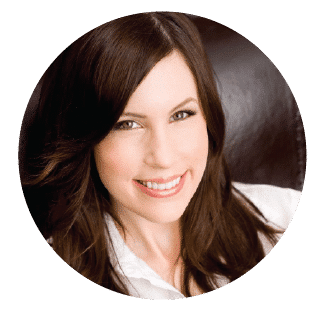 Great tip Tammy, thanks for sharing! Hi, i will try this tonight. Sounds Great. Especially today — Jan 24 2018 — is National Peanut Butter Day. What a wonderful post. Thank you for sharing this! I am really looking forward to trying this recipe and tasting it with my mother. Unfortunately, many of the original photo images are missing from this page – is it possible to fix that? Hi Gayle! Thank you for pointing that out. The images should be fixed now. My husband loves pancakes. Me not so much, so I don’t make them as much as he would like. Since we both love peanut butter, I decided to try this recipe and am truly amazed at how delicious they were! Truly “featherlite”! I am a new pancake fan and this is going straight into my “A+” recipe file. Thanks for posting this wonderful recipe! I used a different brand of baking powder and it was too prominent. I agree with Donna Z., that Rumford Baking Powder is the best. Also, since we both LOVE peanut butter, I made a topping of Crunchy Peanut Butter, melted butter, vanilla, and powdered sugar. Yes, more calories, but it was a treat! Very nice taste. Light just as advertised. Peanut butter taste is subtle and not overwhelming. Goes well with jam on top! I found the batter much too thick following the recipe and added in more milk to reach my preferred consistency. That might just be my preference though. These were exactly what I was wanting! And to see the original recipe from such a famous woman makes it even more special. I followed the directions exactly – except used crunchy peanut butter- and they turned out PERFECT. Thanks for sharing. Recipe sounds great and love the historical information too. Very informative as ever. Lovely that it was found on the back of an envelope. This was great! Thank you for people who said to skip extra salt when using salted peanut butter! That made the saltiness perfect. Plus, I used crunchy peanut butter, which I liked for its texture. I also added a teaspoon of cinnamon, a dash of vanilla and chunks of banana! Yum! Delicious pancakes! Some of the best I’ve had. 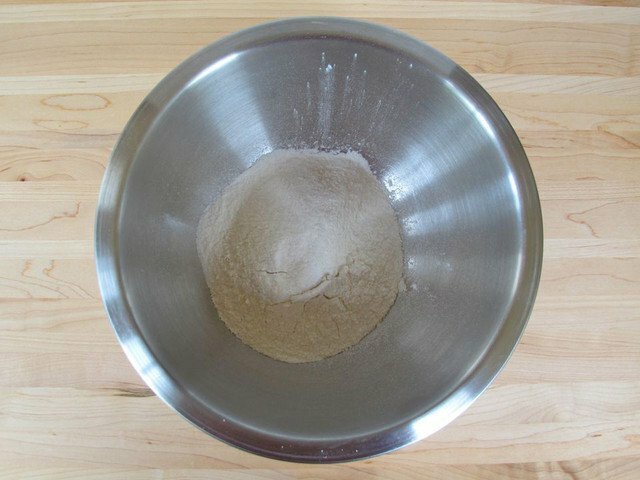 I lowered the 2 Tablespoons of baking powder to 2 teaspoons. In the first batch all I could taste was the baking soda. I’m not sure if I’m sensitive or if it’s a misprint. This did affect the rising though, I’ll either add a little more or a bit of baking powder. Made this tonight with breakfast for dinner. They are heavenly with a good maple syrup. I added Chocolate chips to some of them. Ny absolute favorite pancake now! I wonder if you could convert this to a muffin recipe with jelly in the middle. Mmm! we all loved this recipe today and loved hearing my 12 yr old give her rendition/mini version of Rosa Parks on the bus to her lil brother/5yrs old. funny how lil kids are so innocent, and didn’t understand ‘colored’. Grown ups make things way to complex. Just another reason to love Rosa! Loving this article Tori! 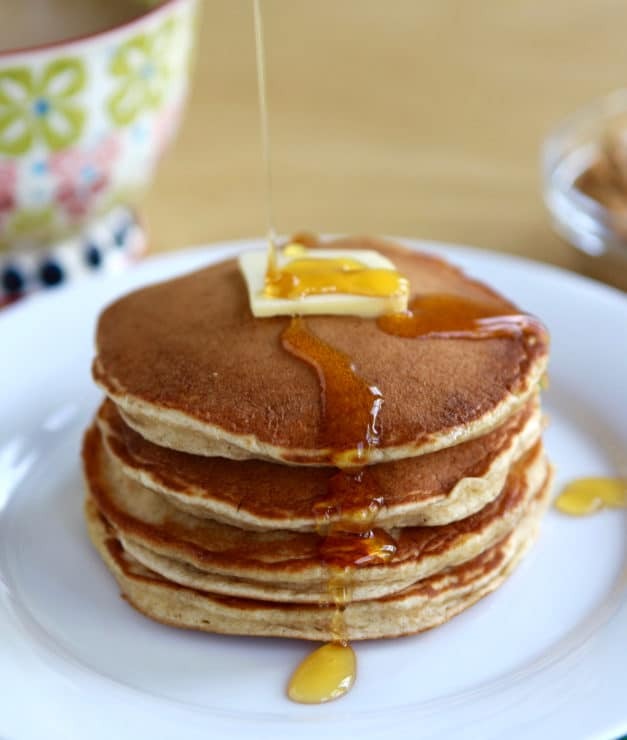 These pancakes are light, fluffy, flavorful and absolutely delicious! I used 1/2 cup whole wheat pastry flour and 1/2 cup whole wheat flour for additional nutrition, flavor and texture. I wasn’t sure about using so much baking powder but decided to follow the recipe as printed; glad I did. Be sure to use aluminum-free baking powder (I think Rumford is the best). I admire Rosa Parks greatly and feel humbled to have one of her personal recipes. Thank you Tori! My daughters and I made these for breakfast today – WOW!!! These are fantastic!!! A delicious breakfast with a lesson about civil rights! Perfection! Thank you so much for this piece of history and the fantastic recipe! 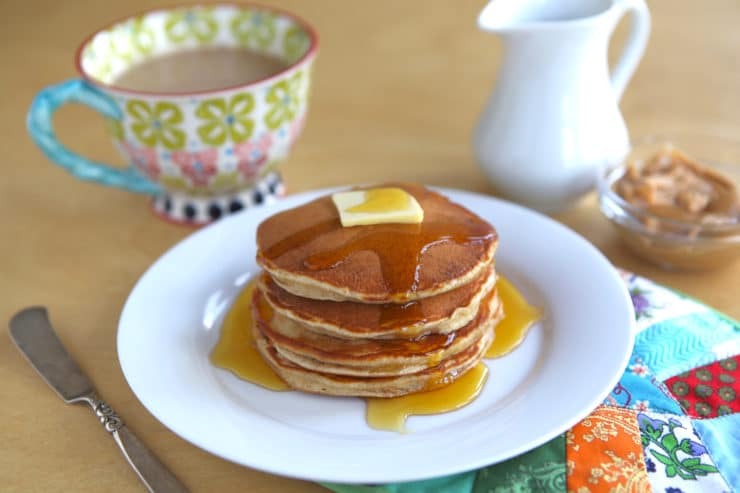 We loved these pancakes SO much, and they will be a staple in our home now! Yum! Made these for fathers day. I would make them again, but very cautiously. They turned out too salty, so I would not add extra salt- the peanut butter is salty enough. I would also be way more careful when cooking them. If you cook them on to low of heat, they fall apart when you try to flip them. If you cook them on too high of heat, they burn. That is so cool that such an amazing woman did what I and maybe others do when in a hurry, lol, grab what is handy and write down a recipe I want to try. Thank you for the reminder of such a wonderful person. Also for sharing her recipe. Could this be used for waffles? Would you have to alter the recipe? I can’t wait to try these! I love a shmear of peanut butter on pancakes so this is right up my alley!!! I adapted the recipe, making them gluten free and dairy free, and they were absolutely delicious! Thanks so much for sharing this recipe with us, Tori. Could you please share your gluten free and dairy free adaptations? Would love to make these and be inclusive to a gluten free girlfriend. Thanks in advance. My two boys(ok, me too), are always up for a new pancake recipe. We’ve dabbled with adding peanut butter & bananas to batter, with mixed results. One of my sons recognized Rosa’s name in the headline(seems they are still studying this in school!) and claimed we HAD to try these. Who am I to say no to a little weekend school work. Look at that butter and syrup and with the words feather light in the title. Oh my do I ever need a bite of these right now. I made these pancakes today for my son and husband. They were lovely! My son is not a fan of peanut butter, but enjoyed the pancakes. I will keep these on a regular rotation for Sunday breakfast. 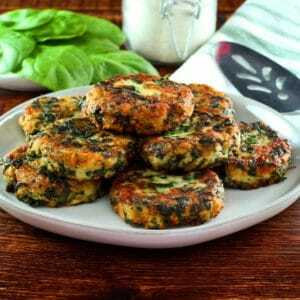 Ths recipe is great, thank you for sharing. This is the best pancakes I have ever made and tasted. I’m 18 years old and made this fir my siblings..It’s so easy to make and most of the items can be found in your home. I made this two days in a row. Ate it for breakfast and lunch because that’s how great they were. Follow me on Twitter at @itsJennyDeeDawg By the way, thank you so much for this recipe! Tori, this is such a beautiful, moving post. Thank you. I have never had peanut butter pancakes. The Mister and I love peanut butter about as much as we love pancakes. This recipe sounds like a great way to use up some fresh, homemade peanut butter I just made. YUM! I can’t wait to try this. This is great! I read the title and could not imagine what pancakes would have to do with Rosa Parks, but now I see. I had the pleasure of meeting her in Chicago in 1994 along with Mamie Till-Mobley (Emmett Till’s mother) and I wish I would have had the courage to ask questions instead of just stare at her, wide-eyed. Thanks for taking the time to make and share this recipe. Also, we should know the name Claudette Colvin-she refused to give up her seat 9 months before Rosa Parks. If you look her up you will find that her case was hushed because she was only fifteen years old, pregnant, and not considered to be good press for the Civil Rights movement at the time. She is still alive. Tori, outstanding post. The recipe looks straightforward and doable. I agree with Peggy, a handwriten recipe on the back of an envelope held by hands wearing conservator gloves. It doesn’t get more woman to woman than that…From one of our country’s heroines to each woman looking at that picture and recipe. Excellent research ! What a wonderful idea to make the lovely pancakes as a tribute to such a remarkable woman who is so important in American history. My brother would go crazy for these. He is such a peanut butter fanatic. Great post. Rosa Parks was such an inspiration. Perfect pancakes…beautiful pics! These sound really interesting! What an inspiring woman. And the pancakes look amazing! 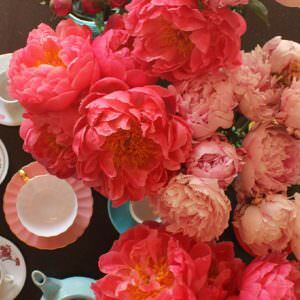 I am going to make these for my daughter tomorrow on Rosa Parks Birthday! Great idea- thanks:) But I may have to alter it a bit- thinking chocolate chip PB pancakes would be amazing! Thank you Tori, not just for a fabulous recipe but for honoring Rosa Parks. She is a reminder that one person can change the world, whether they intended to or not! Whoa, it’s so cool that these actually come from that beautiful woman. They look incredible too. Talk about picture perfect. What a wonderful post! I love that this is from her original recipe 🙂 I bet it’s an amazing breakfast! Peanut Butter Pancakes! OMG! I want to scarf down the whole plate! Well first, YUM! This sounds incredible. But how cool is that? They found a recipe from Rosa Parks. I think that’s something amazing. Great post! 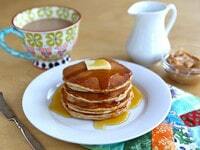 Love this post and of course I would adore these peanut butter pancakes! Mmm this breakfast sounds perfect!